Welcome to Osha-Pros, USA, a premier provider of OSHA Training Courses Online for quick state, local or federal safety compliance. Here you can take your OSHA 10 hour construction course and OSHA 30 hour construction course quickly and receive your new plastic Department of Labor OSHA Wallet Card in a matter of days! 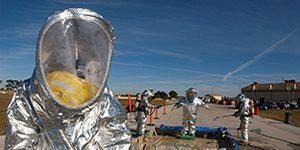 *Immediate Proof of Completion HAZWOPER Training consists of topics that include hazardous chemicals, site assessment, decontamination and more. HAZWOPER compliance training typically includes online training and is supplemented by on-site, hands-on training supervised by a HAZWOPER instructor. These courses satisfy the online training portion ONLY. OSHA 10 Hour General Ind. OSHA 30 Hour General Ind. Additional Courses can be found here! Welcome to OSHA-Pros USA, premier provider of OSHA 10 hour Training and OSHA 30 Hour Training, both online and on-site for you and your organization. We have over forty years of service in the safety and risk management industry, helping our customers with their OSHA Compliance. Our courses are all OSHA-Accepted in all 50 States and U.S. Territories, powered by our partner, 360Training.com . 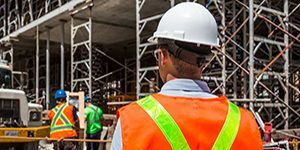 We offer our OSHA 10 Hour and OSHA 30 Hour courses online from any computer, or you can take part in a company-sponsored on-site course at your facility with substantial discounts and enhanced training materials with priority scheduling! Get your OSHA 10 Hour Construction, OSHA 30 Hour Construction, OSHA Hazwoper Certification Training and many other valuable OSHA Compliance training courses from our staff-professionals! OSHA-Pros is proud to announce the availability of an ALL ONLINE course for EM-385-1-1, a comprehensive look at all regulations outlined in the EM 385-1-1 manual, which supports worker compliance with the U.S. Army Corps of Engineers Contractor Safety and Health Requirements. IF YOU ARE A CONTRACTOR WORKING ON MILITARY CONTRACTS OR PROJECTS THIS IS REQUIRED! This Forty (40) hour training course provides information relative to the US Army Corps Safety and Health Requirements Manual, EM 385-1-1 and pertinent Occupational Safety and Health Administration (OSHA) construction standards for contractors, military and government employees. The EM 385-1-1 manual was designed by USACE, in collaboration with the Naval Facilities Engineering Command (NAVFAC), and provides an overview of the safety requirements on federal projects. The 2014 Edition supersedes the last edition of EM 385-1-1 published in 2008. While many of the requirements in the EM 385-1-1 align with OSHA Standards, there are some specific differences that go above and beyond OSHA Standards. For a limited time, we offer this course with a substantial discount of $75 off the list price. This is good for a limited time ONLY. Click below to sign up NOW and receive your automatic discount! OSHA-Pros USA is one of the highest rated safety standard training providers in the country. Providing both OSHA online training and group on-site courses, covering everything from the standard OSHA 10 Hour Construction Training program to the full 40-Hour Hazwoper Course certificate; OSHA-Pros is an essential partner in achieving your Occupational Safety and Health Administration worker safety goals in most workplaces. Any course taken through OSHA-Pros is valid in all 50 states, and all of our OSHA 30 Hour and OSHA 10 Hour OSHA online courses result in your Department of Labor Wallet Card to prove your completion of training (required by some states and many employers). If there’s a hazard in the work place, we have programs to help you deal with it. And if you need on site training, we have OSHA Authorized trainers for that too. Online or at your site, we’re there to help your safety training program and keep you in compliance. Our OSHA 10 Hour Construction Course is for those workers in the Construction Industry that have a need to obtain their essential training basics course. 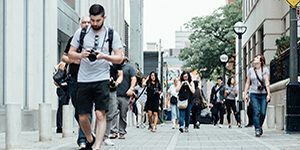 This worker safety course may be mandated in some states by your legislature (New York, New Hampshire, Massachusetts, Connecticut, Rhode Island, Missouri and Nevada). Other locations or employers may also require that you take this course. It can be completed in less than two days, or may be extended as long as 90 days to meet your schedule. The OSHA 30 Hour Construction Course is for supervisors and executives that must know more detailed information about managing safety and risks. Starting in 1971, and going strong for the last 43 years, OSHA accepted worker safety training is essential to many job environments, and responsible employers require that training be completed by prospective hires in order to avoid liability. For the last fifteen years, these training courses have been available online, offered by OSHA-Pros on their website at the lowest prices, easily accessible from the comfort of your own home! OSHA-Pros offers live telephone support (just dial 866-265-5813 and we’ll prove it), exclusive deals for multiple students, affordable corporate pricing, and courses are accepted and available in all 50 states. Find out today why OSHA- Pros USA is America’s best risk avoidance training provider. View and learn about all our services now by browsing our website. We help manage hazards by giving works the education and resources that provide protection from hazardous situations and environmental risks. Any worker can also use this site as a complete resource to learn more how to take responsibility for their safety.